An innovative new service, WG Cloud powered by Ward Goodman, the Dorset based firm of Chartered Accountants and Independent Financial Advisers, is set to transform clients’ lives by streamlining their business processes, cutting down on paperwork and giving them back valuable time to focus on growing their business, or gaining a better work/life balance. With plans starting at just £75 a month, clients will benefit from being able to utilise a number of time and cost cutting procedures through the firm’s partnership with accounting software specialists. Features, include being able to create instant invoices, import and reconcile bank accounts, and automate credit control. 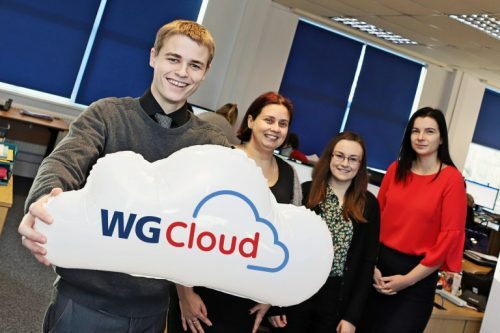 WG Cloud is accessible anywhere at the click of a button due to the service being cloud-based. Losing expense receipts will become a thing of the past thanks to the WG phone app that automatically categorises and uploads photos of receipts into your accounting software. Ward Goodman are holding free demonstrations of WG Cloud at their offices across Dorset and at THIS Workspace, it’s new centrally located meeting point in Bournemouth on the following dates.